Note: Making estimates for materials fermenting is only required of wineries. An updated estimate of materials being fermented should be made once, at the end of every operations period, before your report is finalized. This will appear in the operations report under “Part VII -In Fermenters End of Period”. 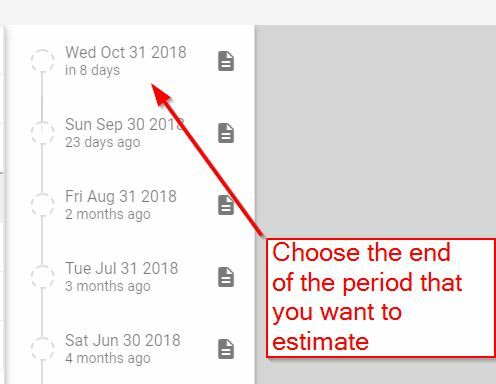 To update the estimate for the period, choose the correct end date of the period from the left. Enter in your estimates for the different categories of wine that are still fermenting at the end of the period. When you’re done for each type of wine, click the blue save icon. Note, this is just an estimate. An exact measurement does not need to be taken. The category labels of the types of materials being fermented (eg. grape, apple, blackberries, etc.) 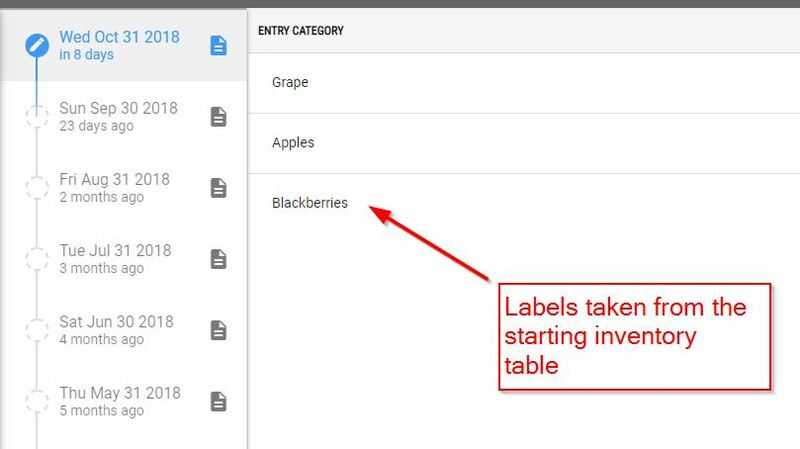 are populated from the labels entered into the Starting Inventory table in your Account Settings when your account was created.